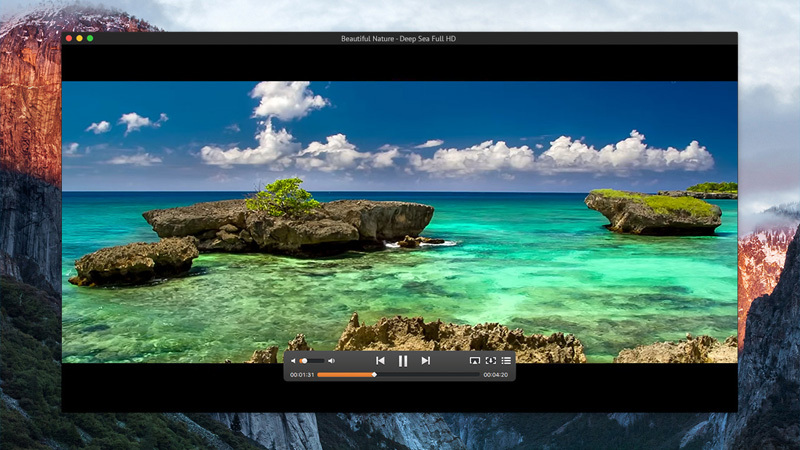 Elmedia is a media player for Mac that can practically play most media file formats. This player is sometimes considered an alternative for QuickTime Player. This is vast because of its support for a broader range of media files including FLV, SWF, WMV, AVI, MOV, MP4, MP3, DAT, FLAC, M4V, MPG, MKV and so on. Elmedia Player doesn’t just play videos, it can download them as well for a later view even in offline mode. However, it is noteworthy the download feature is exclusive for PRO version of the application. Elmedia Player has a Free and PRO version. The Free version comes equipped with basic features like video playback, inbuilt web browser and so much more. Playback enhancement options (A-B loop, 10-band audio equalizer with presets, video and image layout adjustments, etc.). Elmedia Player PRO can download most popular video formats including RTMP streams or HTML5 videos used mostly by news channels. It can download media files from popular video hosting services like Metacafe, Vimeo, Dailymotion, Facebook, Yahoo, and YouTube. Elmedia Player PRO also has a video tuner. The Tuner is used to adjust contrast, brightness, saturation and other parameters of a video. There is as well graphic equalizer available with 10 frequencies that you can use to personalize the sounds. Elmedia Player automatically loads external audio tracks if they present in a video. The Free and PRO version share so many features. For instance, both versions can play and even add subtitles. Assuming you want to watch a movie that is in a foreign language, but you need the subtitle in your local language. You can simply download your desired subtitle and add it to Elmedia Player. Another interesting feature is Elmedia’s ability to merge a video with a soundtrack. If you have a video in a different language you don’t understand, Elmedia Player can merge that video with an audio in the language you understand. There are some known issues with playing back SWF files and downloading online movies online but in general, that doesn’t affect the user experience. In conclusion, the free version of Elmedia Player is relatively as powerful as the PRO version. Most importantly the software is easy to use.